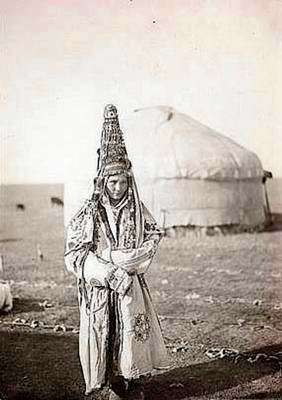 Kazakhstan history tells us that even before our era numerous nomadic tribes inhabited what is now Kazakhstan. The historians of antiquity called them the Saka. For many centuries the land of the Saka was the scene of bloody, devastating wars. And many conquerors had encroached on that land. 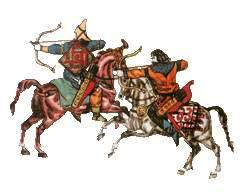 In 1218, Mongol-Tatar hordes led by Genghiz Khan invaded Kazakhstan. They swept over the Kazakh land with fire and sword. 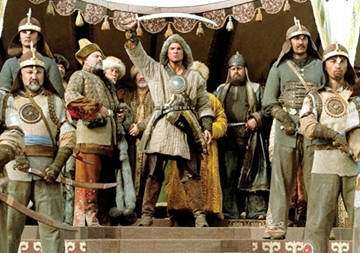 As a result of those aggressive campaigns Kazakhstan, like the entire Central Asian region, was incorporated in the vast empire of the Mongols known in world history as the Golden Horde. 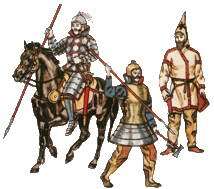 However, the Golden Horde turned out to be an unstable state. Undermined by internecine wars between the feudal lords and the liberation straggle of the conquered peoples, it eventually disintegrated into separate tribal alliances. 12 March, 2017 / Ancient Petroglyphs of Bayan-Zhurek. 16 October, 2016 / The exhibition of everyday life objects of Kazakh people. 6 November, 2015 / Besshatyr Royal Burial Mounds. 13 February, 2015 / The Mausoleum of Khoja Ahmed Yasawi in Turkestan. 2 August, 2014 / Temirtau early in the second half of the 20th century. By the early Middle Ages, a number of large field-farming oases with a sedentary population appeared in Kazakhstan. Alongside crop farming, it was engaged in horticulture and melon growing. Feudal towns began to emerge in these parts and soon established a brisk trade with neighboring countries such as China, Iran and the states of Central Asia. 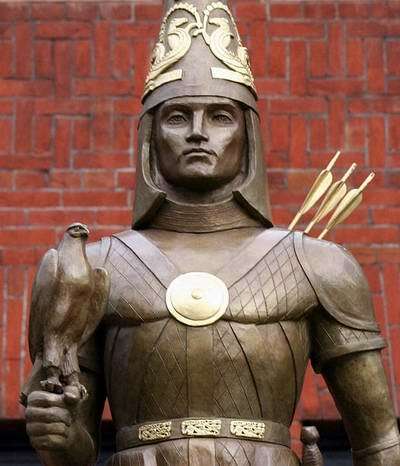 In the second half of the 15th century the first Kazakhstan khanates (states) were formed. However, a long time was to pass before Kazakhstan grew into a single political entity. There were constant wars among the khanates accompanied by the plundering of the population. Feudal disunity and internecine strife hindered the economic and cultural progress and considerably weakened the defense capacity of the Kazakh states. For nearly a hundred years Kazakhstan people waged a struggle against the Dzungar. The invaders levied heavy taxes on Kazakhs and dealt ruthlessly with anyone who resisted. 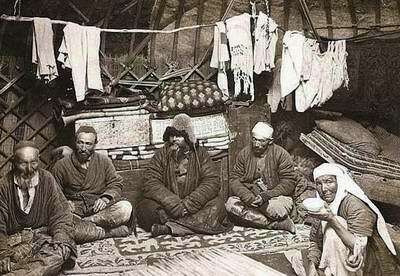 According to Kazakhstan history the country was also a victim of constant raids carried out by the Volga Kalmyks. In the south, it was under the threat of invasion by the Central Asian khanates of Khiva, Bokhara and Kokand. 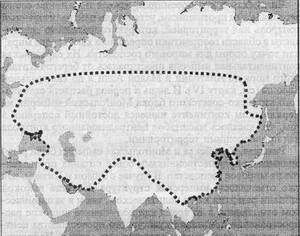 Kazakh people were on the brink of complete enslavement and even extermination. It was then that Kazakhs appealed for help to their neighbor, Russia, with which they had long been carrying on a lively trade to meet their needs for various consumer goods. In 1731 an act on Kazakhstan’s voluntary accession to Russia was signed. Despite the colonial policy of Russian government, this was an important step, which opened before the Kazakhs the opportunity of establishing direct economic and cultural links with Russian people. Crop farming began to develop rapidly, industrial enterprises were set up. In the first half of the 19th century the influence of Russia’s economy on the backward economy of Kazakhstan grew stronger: an increasing number of Kazakhs settled down and took up crop farming. As the output of agriculture produce rose, Kazakhstan’s trade and economic ties expanded. In the late 19th century capitalism penetrated into agricultural sector, intensifying the process of stratification in the auls (Kazakh villages). The First World War, which broke out in 1914, brought innumerable calamities to the people of Kazakhstan as to the entire people of Russia. Livestock, fodder and agricultural produce were requisitioned from the Kazakhs. Taxes and levies of all kinds were increased. 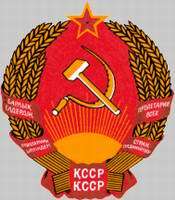 According to the history of Kazakhstan after the rebellion of October 1917 the Bolsheviks ignored the ethnic differences of the people and created Kirghiz Autonomous Socialist Kazakhstan in present-day Kyrgyzstan. Five years later, in 1925, the Kazakh appellation is reinstated; the Kazakh Autonomous SSR was given a capital - Alma-Ata. In the 1950s, Nikita Khrushchev decided to use Kazakhstan to showcase Soviet ingenuity in land management and agriculture. As a result, he appointed Leonid Brezhenev First Secretary of Kazakhstan and commissioned him to carry out what was later known as the “Virgin Lands” project. Helped by Kazakh Dinmukhammad Kunayev and a large number of Kazakh youths, Brezhnev turned the ancestral Kazakh grazing lands into wheat and cotton fields. While this was a major plan for the Soviet Union the project played havoc with the lives of the Kazakhs. 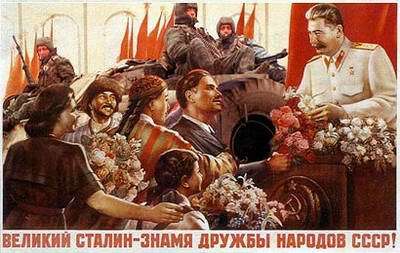 Distanced from their major sources of self sufficiency, bread and meat, they became entirely dependent on imports from the rest of the Soviet Union. The 1960s and 1970s saw the arrival of a different group of Soviets, the technicians who worked the coal and gas deposits and who took charge of the oil industry. This new community, added to the old farming and mining communities, tipped the balance against the Kazakhs who began to become a minority in their own country. After Brezhnev, Kunayev became First Secretary. Using ancient Kazakh institutions such as tribal hierarchy and bata, Kunayev forged a new system of exploitation within the already exploitative Soviet system. As the chief of the “tribe” he made all the decisions on hiring and firing of managers of major firms and plants. Then using bata, or sealed lip, he prevented any information that could damage his operation from reaching the Center in Moscow. The Kunayev empire, built around a core of his kinsmen, grew very strong. It would have grown even stronger if not Mikhail Gorbachev who displaced Kunayev as First Secretary and installed a Russian, Gennadii Kolbin, in his place. As for Kunayev, he refused to disappear quietly. Rather, he set his own forces into motion and created the so-called “Alma-Ata” riots of the late 1980s, the first to shake the foundation of the Soviet Union. In 1991, following the disintegration of the Soviet Union, Kazakhstan became an independent sovereign state. new website. :) We recently launched a website in tthe Netherlands for promotingg good smartphone deals and buying advice. stores are into this special deals day, we dedicated a special section of our site to these deals. some free tips about buying a smartphone! I really like it! I shared it oon the social network of our brand new website. promoting good smartphone deals and buying advice. a special section of our site to these deals. You caan visit our site if you waht some advice for buying a new smartphone. I really like it! I shared it on the social network oof our brand new website. section of our site to these deals. Also, we published some advice for buying a new smartphone. You can visit our site if you want some advice for buying a new smartphone. The company's website additionally gets inundated with enthusiastic customers. You're not something confused ... the page does not open! Can not find server forum.e-import.pl.